Sunday night in the Sky Sports NFL studio was another that involved high drama, twists and turns and plenty of big plays and talking points. On a weekend where this could easily have turned into a Pick 26 column, here are half a dozen headlines and stories that caught my eye. 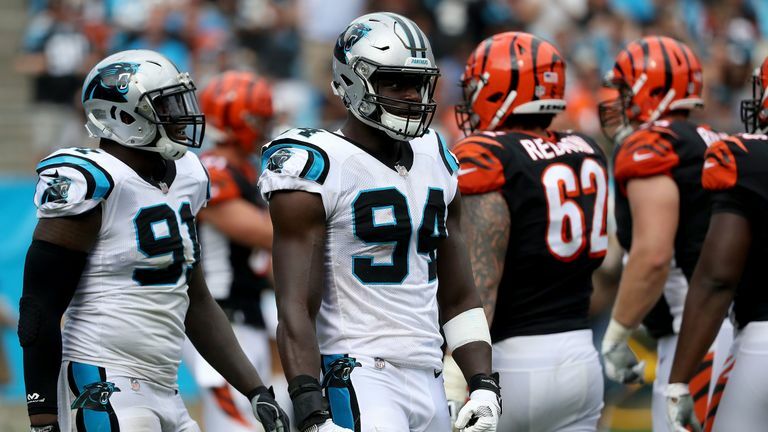 It was pure 'Roy of the Rovers' (look it up, kids) stuff on Sunday night as British defensive end Efe Obada made his NFL debut with the Carolina Panthers. Rather than just contribute to the cause on special teams, Efe solely played on defense and immediately made his mark. The former warehouse worker who played just five games of amateur football for the London Warriors before being plucked from obscurity by the NFL recorded one sack, one interception and one tackle. He was given the game ball for his efforts in the Carolina locker room after the 31-21 win over the Cincinnati Bengals. That debut was too Hollywood to be believed but it actually happened. Efe joined us on the phone during our show on Sunday evening and admitted he was "overwhelmed" and "teared up" when he saw his jersey hanging up in his locker. He certainly didn't look out of sorts on the field - he looked very much like he belonged as a play-making star at the sport's highest level. Even more 'Cinderella' than Efe's dream debut was the winless Buffalo Bills marching into Minnesota as 17 and a half point underdogs and inflicting a 27-6 whooping on the hometown Vikings. And it was indeed a physical beatdown as Buffalo - without injured star running back LeSean McCoy - took it to Minnesota on both sides of the ball. 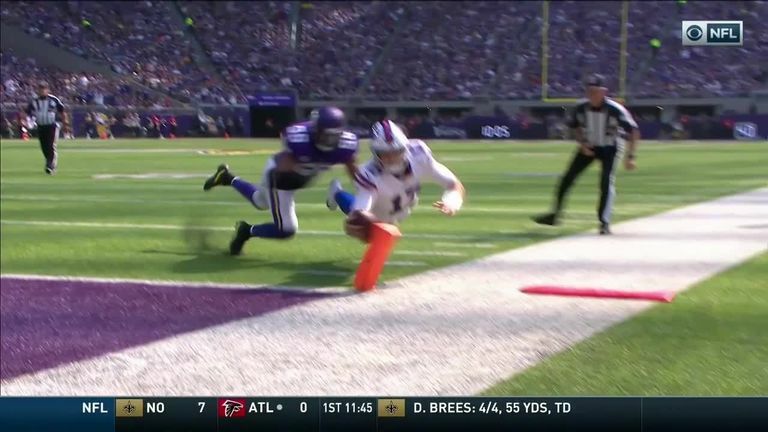 Rookie quarterback Josh Allen showed his athleticism with one incredible hurdle over a defender, he threw for one touchdown and ran in two scores. But it was Buffalo's defence that really shone with pass-rusher Jerry Hughes registering an incredible 15 hurries of Minnesota quarterback Kirk Cousins. To say that very few people saw this coming would be a lie… nobody saw this coming! 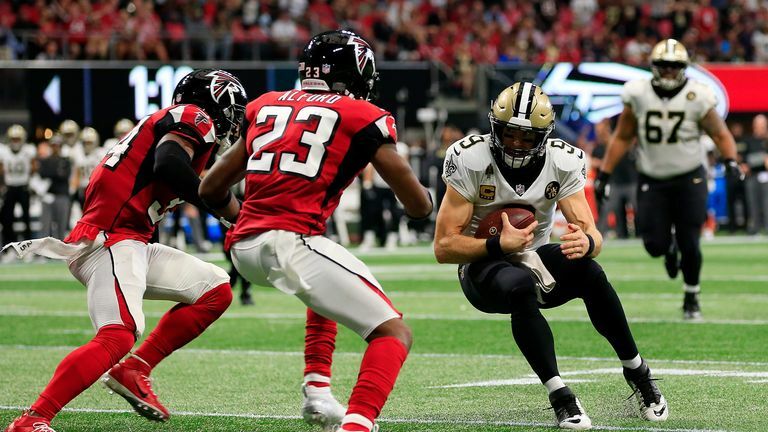 Drew Brees became the NFL's all-time leader in pass completions on Sunday night as the New Orleans Saints edged past the Atlanta Falcons 43-37 in an overtime thriller. The future Hall of Famer passed the great Brett Favre and ended the evening with 6,326 completions. That is just one of many NFL passing records Brees will hold when his career is said and done, but his display on Sunday showed he is far from finished. Brees shredded a banged-up Atlanta defense to the tune of 396 yards and three touchdowns. He even added two rare rushing touchdowns, including the winner in overtime that ended a game no one wanted to end. With Brees at the helm and elite offensive weapons in running back Alvin Kamara and receiver Michael Thomas, the Saints have steadied the ship after a rocky start and once again look truly dangerous in the NFC. The perennial powerhouse that is the New England Patriots is in trouble after back-to-back losses of 10+ points. That is the first time that has happened to Bill Belichick's men since 2002. 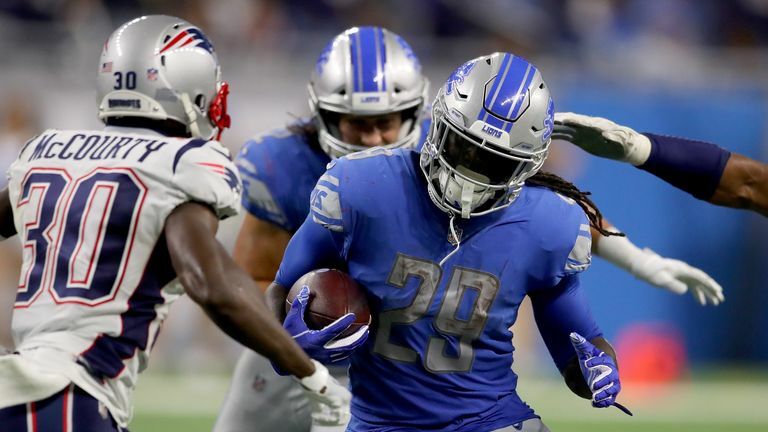 The Week Two defeat to the Jacksonville Jaguars was concerning, but losing 26-10 on Sunday night to the winless Detroit Lions was shocking. It was surprising not to see a response from the Patriots following their previously disappointing display in Florida. Tom Brady has very little passing game options and it is clear this team needs the spark that can be provided when Josh Gordon is fit at receiver and ready to slot in and play, also the return of suspended receiver Julian Edelman (he can play from Week Five onwards). But we should be just as worried about a New England defense allowing an average of 406.3 yards per game in 2018. They look ponderous against the run and incapable of defending the pass. The Patriots are at home to the 3-0 Miami Dolphins this weekend and absolutely have to respond in order to stop the bleeding. Heaping pressure on the Patriots is the emergence of the surprising Dolphins as a genuine threat this season in the AFC East. Adam Gase's men have rarely turned in a pretty performance this season but they are gritty and pulling in the same direction and have eked out wins over the Tennessee Titans, New York Jets and Oakland Raiders. That is a pretty tame trio to take on at the start of the season, so Miami's first big test comes in New England on Sunday. What is evident with this team is that they are fighting together and putting on a tough and unified front. That was not the case in Miami last season where Gase didn't like some of the noises coming out of his locker room. The coach has certainly made this 'his team', shipping out some vocal veterans this offseason and naming his own captains rather than opening it up to a player vote. So far, things have worked out beautifully for the Dolphins. 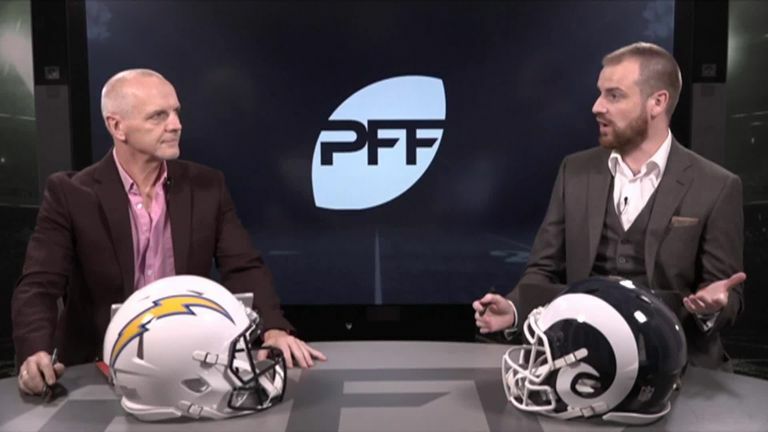 We'll know more about their playoff chances after they have faced the Patriots on Sunday - a game in which they could open up some decent breathing room atop the division. Another week in the NFL and another performance from Patrick Mahomes that has left the football world purring. 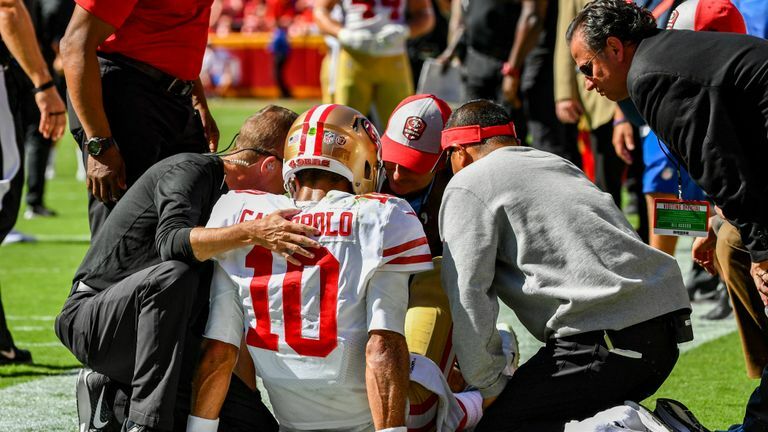 In leading the Kansas City Chiefs to a 38-24 win over the San Francisco 49ers, the 23-year-old quarterback threw for 314 yards and three touchdowns. He has raised the bar so high now that I barely blinked when I saw that stat line on Sunday night. That was just a typical day at the office for the second-year star. Mahomes has now thrown 13 touchdown passes and no interceptions on the season. Those 13 scores are the most by any NFL player in league history through three weeks. 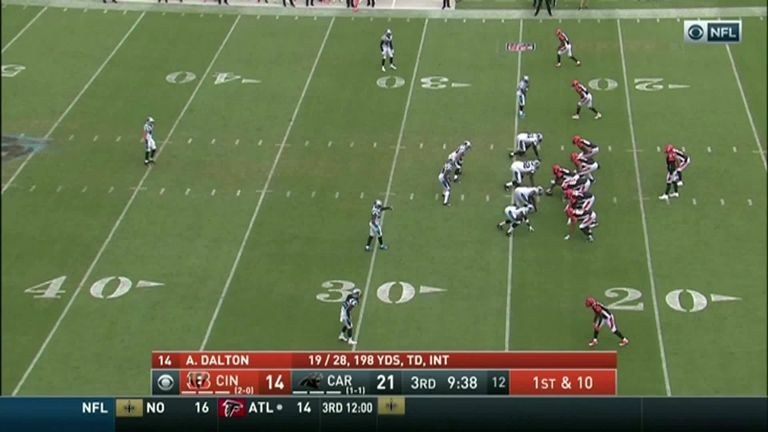 His most amazing play came on a four-yard touchdown strike to wide receiver Chris Conley. Mahomes ran left to get away from pressure and then rolled to his right. He held the ball for an incredible 7.26 seconds before delivering a laser strike into the endzone for the touchdown. This kid is special. And I'm talking historically special. In a wide-open AFC, Mahomes has the tools to take the Chiefs all the way this season. I think it is between the Chiefs and the Jags in that conference.